Medellin, Colombia: the City of Eternal Spring should be a spot on your next trip when traveling through South America. The cool tropical climate at a constant 76 degrees gives it all the more reason to visit Medellin. Not once in my stay in Medellin did I ever complain about the weather; even when it rained because when it rains it only lasts for roughly 30 minutes. Medellin’s weather is similar to the climate back at home in Southern California, except in Medellin it’s year round. 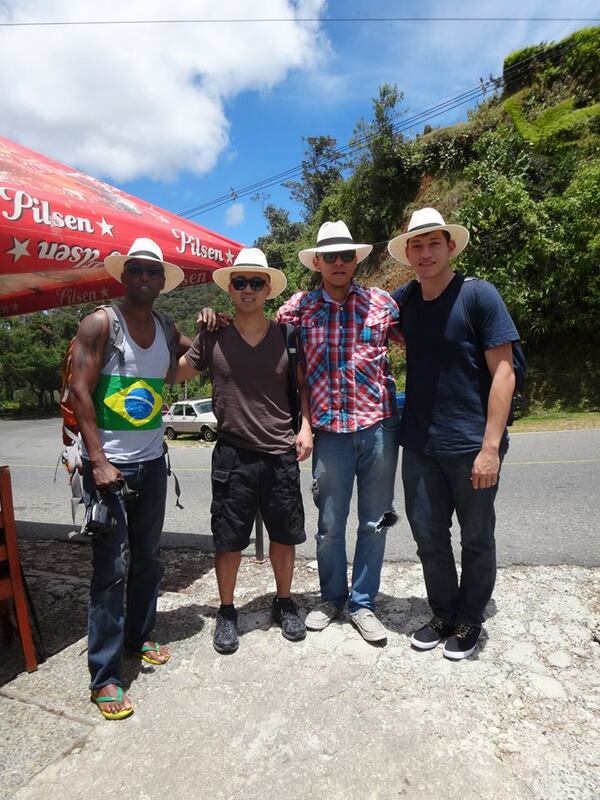 This was my second time visiting “Medallo” and I was very fortunate to be around during the World Cup Brazil 2014. Now I already have a passion for sports, especially when it comes to basketball and futbol, but the Paisas literally live and breathe futbol. It’s not only just for the love of the sport, but that it brings the Colombians pride and joy to their nation. I remember the first game Colombia played against Greece, the game started at 11:00 AM and we were in Parque Lleras at a restaurant called La Chingona. The place was packed! I had to show up early just to save my friends and I a table to watch the game. It was game time, we had already polished off two bottles of Medellin Rum and the Colombian national anthem was playing, and you can hear everyone in the bar, outside in the streets, and the surrounding bars singing the anthem. Hearing the Paisas singing and screaming the words with every inch of pride they had in them ran chills up and down my spine. At the 5 minute mark Cuadrado gave a low center pass into the box, James Rodriguez the pass fooling his defender, leaving Pablo Armero to connect with the ball one timed it, and score… The place erupted! Drinks and babies were flying in the air, random locals were hugging me, girls began to dance on the tables. Tears of joy were running down everyone’s face for it was Colombia’s first World Cup goal in over 15 years. For the rest of the tournament, after every victory we would begin to drink and dance in the streets with the locals, spray foam at everyone, and throw flour everywhere. This was possibly one of my best experiences in Medellin. 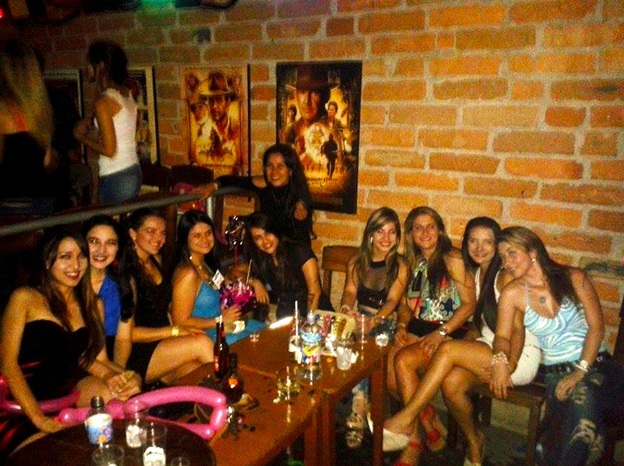 Medellin girls, girls, girls I do adore. Growing up in Southern California, I have always been attracted to white, blonde women. Once I set foot into Medellin that completely changed. Paisa women have a natural beautiful look to them, and that is without a doubt why people call Medellin women the most gorgeous women in the world. Everywhere you go, each girl you see is a head turner. It’s like watching a beauty pageant as you walk down the street to the local grocery store. Paisa women are not hard to approach unless if you are socially awkward then you will have a problem. Just like any other woman, Paisas love being approached by the guy, the minute you do that and if you aren’t boring; you’re in. I’m kinda tall for these Paisa girls. Paisas love dancing, and if you aren’t the best salsa dancer it’s okay, in some cases Paisa women love that. Not knowing how to dance salsa could work to your advantage and the woman will teach you. I still have not been able to get my rhythm down to dance salsa, but with every girl I danced they would teach me because they found it to be cute. If you are able to land a date with a girl do not be surprised if she flakes out, which is one of their few “flaws.” This happened to me three times during my time in Medellin. Paisa women tend to have the habit of flaking out and it happens to all of us. Another “flaw,” not much of a flaw, but when you ask a girl out they always, 100% of the time tend to bring a friend or cousin or sister along. I never really understood the reason why they have a friend tag along, but if you’re showing up thinking its going to be just you and her, think again because she will bring someone else along. Medellin girls are the best! “Me voy para Medellín a la feria de las flores” After the World Cup had ended the party kept going. In the first weeks of August, Medellin hosts its famous flower festival (Feria de las Flores), which draws people from all around Colombia to attend. The whole week is filled with free concerts and day parades. On Monday I attended a free concert called “Musica del Mundo” which was a concert with various artists and genres playing on a big stage at Parque Pie Descalzos. From salsa to reggae to hip hop and ska this concert had it all and was very entertaining. Saturday was the greatest day during Flower Festival. Saturday morning me, my brother (Andrew), and friends (Joel and Joseph), AKA “The Crew,” caught a cab in downtown which took us to Santa Elena. Everyone spends the whole day and night in Santa Elena which is about 45 minutes away from El Centro. The reason why everyone goes there is to party with the Silleteros. Now silleteros are people (usually old men) who carry these huge chairs (Silletas) that weigh about 50 pounds down the mountain Sunday morning for the Flower Parade; and each silleta is decorated with beautiful flowers. Once we arrived to Santa Elena we began drinking our Rum and Aguardiente to get the party started. After a couple of drinks we began to head out to visit the Silleteros. From one house to another we drank, ate and danced with the family members all while the Silletas were being crafted. The whole night was a party that I thought was never going to end. You definitely do not want to miss out on Feria de las Flores! « What is the Difference Between Who and Whom?